Last Date for Apply Online 11/05/2018. B.Sc. Ship Building & Repair M.Tech Naval Architecture and Ocean Engineering . 6. Online Application Can be Submitted on or Before 11th April 2018. 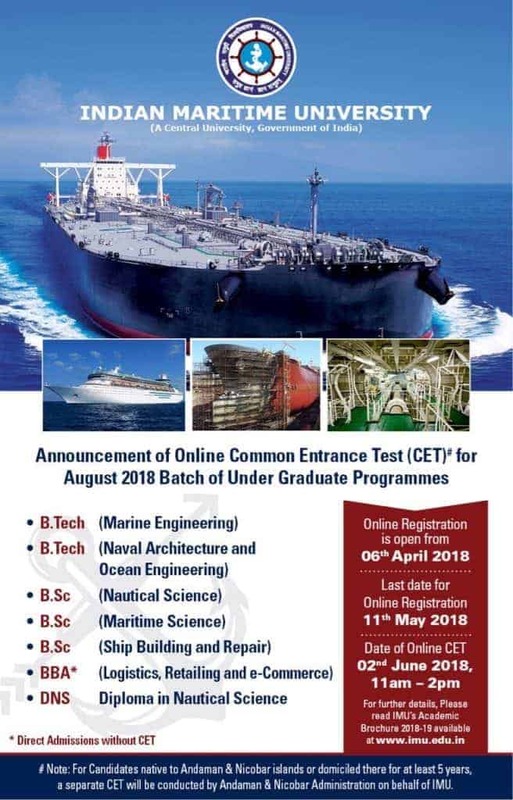 Registration for Indian Maritime University Common Entrance Test Admission 2018 All Other Course Here. Click Here. 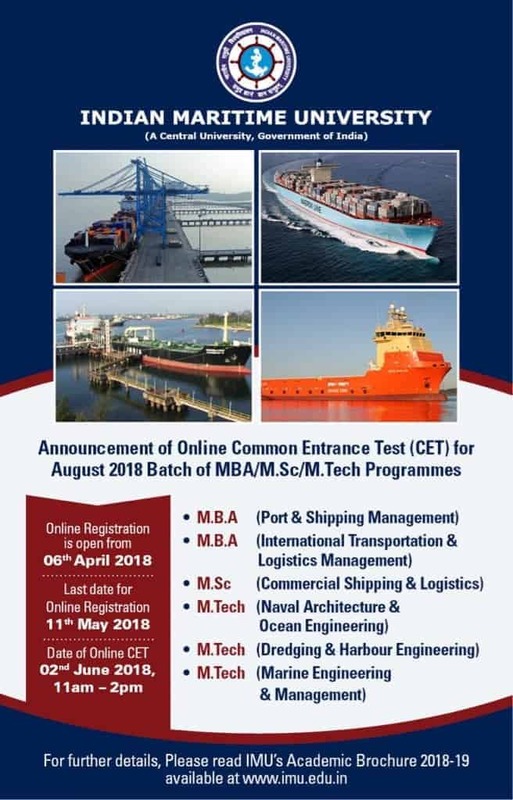 Apply online for Indian Maritime University Common Entrance Test Admission 2018 BBA Course Here. Click Here. Download Undergraduate of Indian Maritime University Common Entrance Test Notification Here. Click Here. Download Postgraduate of Indian Maritime University Common Entrance Test Notification Here. Click Here. Download Brochure of Indian Maritime University Common Entrance Test Here. Click Here. IMU Official Website Click Here.